. BayScapes CC offers a complete range of services including comprehensive home / property inspections. Purchasing a home is a large financial investment in your future. One of the major steps in a real estate purchase is to have a home inspection of your future home. A home may look fine on the surface, but hidden troubles may be lurking. 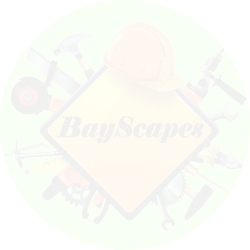 BayScapes has the experience and training to provide information that will assist you, the buyer, in making an informed decision. 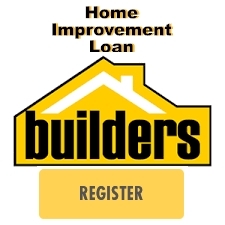 Home Inspection: We inspect the exterior home site, building, foundation, exterior walls, roof structure, attic, basement / crawl space, decks / porches, insulation, storage, electrical, visible interior and exterior plumbing, central air systems, heating systems and the interior conditions of the home. •Plumbing Systems: The interior water supply and distribution systems including all fixtures and faucets. The drain, waste and vent systems and fixtures. The water heating equipment and vents, The chimneys and flues. The fuel storage and distribution systems. The drainage sumps, sump and pumps and related piping. •Electrical Systems: The service drop. The service entrance conductors, cables and raceways. The service equipment and main disconnects. The service grounding. The interior components of the service panel and sub-panels. The conductors. The over-current protection services. A representative number of installation lighting, fixtures, switches and receptacles. The ground fault circuit interrupters. •Heating Systems: The installed heating equipment, vents and valve systems chimney and flues. •Air Conditioning Systems: The installed central and through wall cooling equipment. •Interior: The walls, ceilings and floors. The steps, stairways and railings. The countertops and a representative number of installed cabinets. A representative number of doors and windows. Storage doors and garage door openers. •Insulation and Ventilation: Describe the insulation and vapor retards in unfinished spaces. The ventilation of attics and foundation areas. The mechanical ventilation system. Describe the absence of insulation in unfinished spaces at conditioned surfaces. •Fireplaces and solid fuel burning appliances: The installed system components, vents, valve, chimney and flues. •Wood Destroying Insects: BayScapes CC inspects your future home for visible evidence of termites, wood bores, powder post beetles, carpenter ants and carpenter bees. •Exterior: The exterior wall covering, flashing and trim. All exterior doors, attached decks, balconies, stoops, steps, porches and the associated railings. The eaves, soffits and fascias where accessible from the ground level. The vegetation, grading, surface drainage and retaining walls on the property when any of these are likely to adversely affect the building. Walkways, patios and driveways leading to the dwelling entrances.